Gestalt therapy was first developed by Fritz and Laura Perls in the 1940's. They brought the seed ideas to the United States in the 1950's, and they became wildly popular in the 1960's. Since then, Gestalt has continued to evolve. It has spread around the world, first coming to China over 20 years ago. Now there is a new wave of interest in Gestalt, and teachers are now bringing a contemporary approach to China. 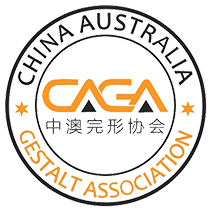 Our association has been set up to foster the development of Gestalt in China, to continue the good foundations that have been developed, and to especially link practitioners and students in Australia, with practitioners and students in China. A professional Gestalt training program is currently being launched in China, run by Gestalt Therapy International, and accredited with CAGA. The training is a total of 144 days, to be conducted over a four year period. It is aligned to international standards of Gestalt therapy training.